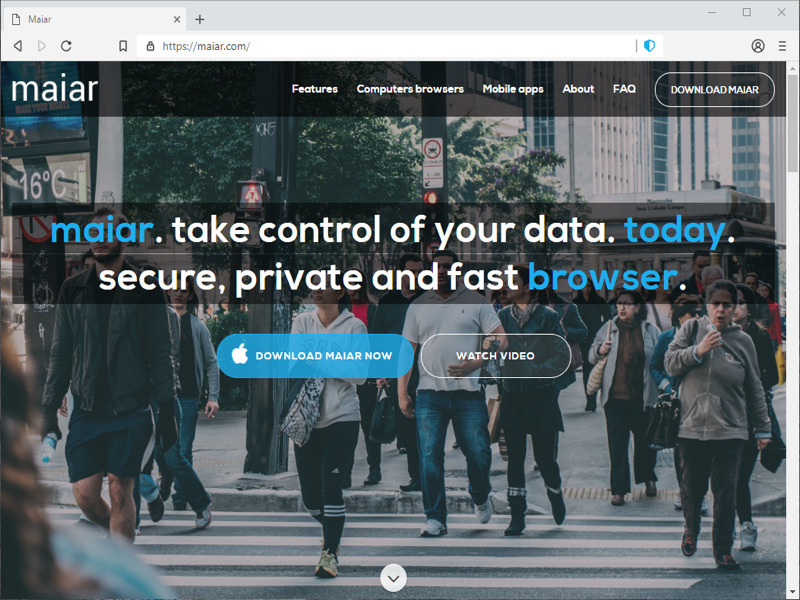 aiar is a blazing fast, privacy first browser for the modern web. * Browse the web up to 8x faster: The best browser for you is the one that comes with privacy and ad-blocking features built-in and enabled by default. Maiar is faster and more energy efficient than other browsers, loading major web sites 2 to 8 times faster than Chrome and Safari on mobile and 2 times faster than Chrome on desktop. * Tired of online ads? Maiar can block ads for you without any add-ons or extensions. Maiar's built-in ad blocker blocks unwanted content by default and makes content-rich webpages load up to 8 times faster. Many web sites often host multiple ads and as many as 70+ trackers per site. Most ad blockers still allow trackers through to profile your browsing patterns, locations or behaviour. * Protecting your online privacy and security: Privacy and security are something you should expect by default. Thats why features to help protect your privacy and keep you secure are built into Maiar. Maiar blocks the software and trackers that follows you around and provide a deep level of protection. Our secure browser protects you from fraud and malware on the web. Other features include: Private Tabs, Pinned Tabs, Ad blocking, Fingerprinting prevention, Cookie control, HTTPS upgrading, Block scripts, Per-site shield settings, Configurable global shield defaults, Add Bookmark, Autosuggest URLs ,Search from address bar, Autosuggest search terms, Show or hide bookmarks toolbar, Show page load time, Show secure or insecure site, Choose default search engine, Use keyboard shortcuts, Clear browsing data, Built-in password manager, Support for 1Password, Dashlane, Form autofill, Control content access to full-screen, Control site access to autoplay media, Send Do not track with browsing and many more.